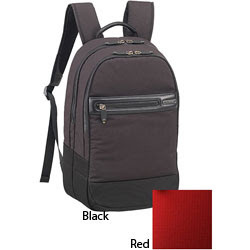 ACE Bag Co., Ltd., was established as the manufacturer for the ACE group in 1960. In 1971, a plant was inaugurated in Akabira City, Hokkaido Prefecture. Since then, the company has been manufacturing high-quality suitcases, attache cases, and other related product categories. The ACE Luggage Co. of today is the hallmark of "Japan Quality" in the ACE group. These are the essential characteristics of AceGene—the genetic code for excellence and experience in modern travel and business case design. AceGene brings the legacy of ACE quality, function and style into new collections for leading-edge thinkers, travelers and executives. Dedicated to the use of advanced technologies and superior functionality, AceGene improves every aspect of your travels through life and business. The emphasis is on functional designs for mobile executives and unsurpassed durability. Unique concepts go into the design of vital parts such as the fasteners and handles. The focus of AceGene is providing the most technologically advanced bags for those who rely on technology for business and travel. AceGene takes the best of our heritage and applies it to today's models for success--a formula for excellence that evolves in step with technology. To become the leading bag brand in the world, AceGene will rededicate themselves to do what they have done so well for the last 60 years: to produce innovative and technologically superior bags of the highest possible quality. They are proud of the widely recognized talent of their designers, their unceasing dedication to performance, convenience, endurance and user-friendly functionality. They will continue to create bags to fit into every kind of lifestyle--bags that people love to own and use. At the same time, they will be taking on new challenges under an ambitious plan for a significant growth and diversification. AceGene have strengthened their superior position in the industry using their unparalleled marketing power and taking full advantage of their competitive edge in sales, production, and other areas. Going forward, they will continue to develop and concentrate their many assets toward an "Era of Bountiful Harvest" for the near future. Their mission has always been to inspire their customers—and to contribute to society—by supplying outstanding bag designs that become companions for life's adventures. They believe that this mission makes up the vital part of their corporate philosophy and Corporate Social Responsibility (CSR). With a pledge to abide to the three ideals expressed in their corporate logo—Globalism, Infinity, and Harmony—they have just embarked on their "Second Business Inauguration" plan. In the years to come, they will aggressively establish a flexible corporate structure to enable them to propose optimal solutions that meet the changing lifestyles of users. AceGene will continue to give the world new vision and new value based their distinct sense of design and the know-how they have developed since 1940.